I had the glorious Anniversaire 2016 and it seemed remiss not to then go and have the Craftwork Scotch Bonnet, so here I am, and here we go. 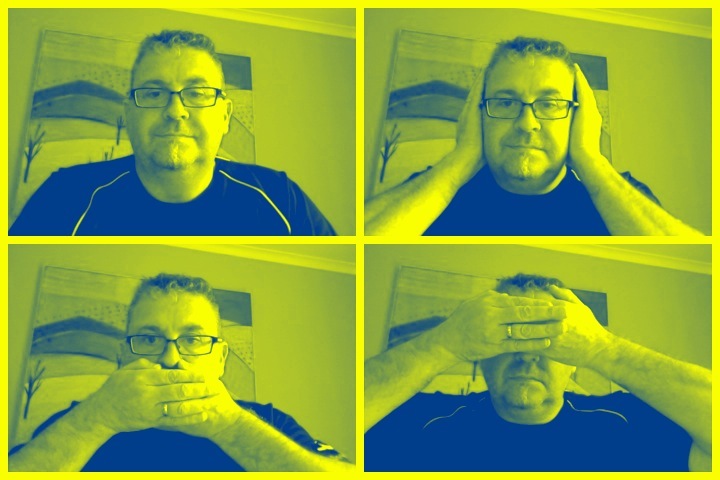 hard to define within narrow style parameters. A 5000ml bottle that has beer of 8% ABV witch is around 240 calories a serve, this is 3.2 standard drink units in NZ. Bottled on 21 November 21016 – batch 2 – good for 5 years or even today. 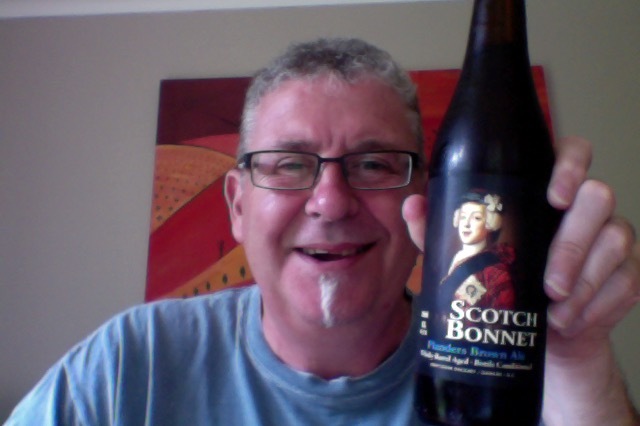 Scotch Bonnet began life as a Belgian Scotch ale, barrel aged in a rare N.Z. Whisky barrel. It has a touch of manuka and peated smoked malt and rubbed shoulders with our Flander’s Red- Red Bonnet barrel, which transformed the beer over time, a year- to resemble an Oud Bruin or a Flander’s old brown ale…Further ageing in the bottle. Subtle sourness and sweetness this beer is hard to define within narrow style parameters. So, What could possibly go wrong? Well the last Craftwork beer I had was lively and I snorted beer foam, so I’m taking a more cautious approach today. Fruit sour aroma, familiar and this one seems quite strong. Big fruity beer this, and it’s quite tart and sour. The finish is tending towards a dryness, which might of course be just that oaked effect. I don’t get anything that I’d say was peaty though. I don’t think this is as strong a beer as the Anniversaire that I had last beer. I don’t get a depth of flavour in the body of this, and it seems a little muted and held back. Of course though that could be the aim though, something a little late-nigh-ish and relaxing, which is fine and dandy, I don’t however think this is an after dinner beer. As is warms I was expecting to get more from it too, this didn’t happen either. I think that this has fallen into adventurous in mind, safe in execution. Finally though, the lacing in the glass was something to behold, should see more of that in beers I recon. The pdubyah-o-meter rates this as 8 of its things from the thing. A big story and promise on the label that for me didn’t translate as well into the glass, I though that the upfront fruity notes were nice and I liked the oaky dryness that this has, but there isn’t enough in the body to make it really standout. Where did I get it? Liquorland had these. Am I enjoying it? Not as much as I thought Was going to. Would I have another? No, I think they have other better beers. Would I share with a friend on a porch and set the world to rights? No, this doesn’t have enough of anything to make it a table talking beer, it’s nice but it is a bit safe. 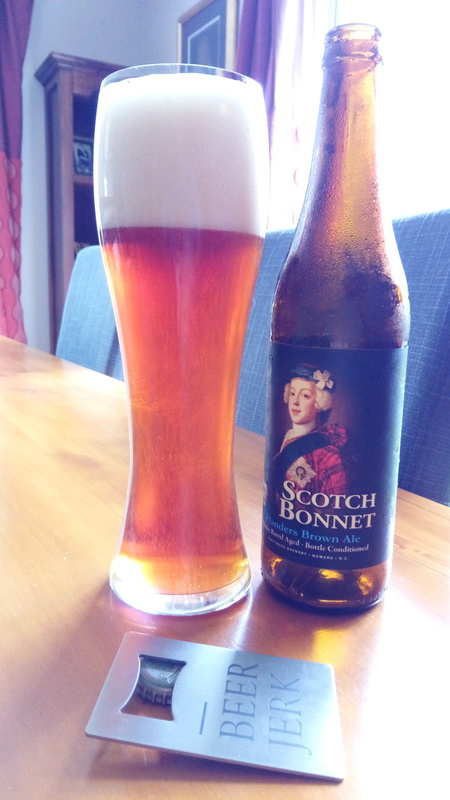 This entry was posted on April 2, 2017 by Philip Walter in Beer, Beer of New Zealand, Beer Review, Brewed By, Craft Beer, craftwork, Critic, Justsaying, Sour Red/Brown and tagged Beer, craft beer, Craftwork Scotch Bonnet, New Zealand, oaked beer, Whiskey oaked beer.